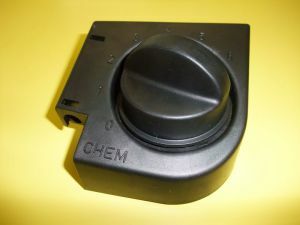 Having been in business for almost thirty years, we stock an extensive range of spare parts for not just the current range of Karcher, Numatic, MAC International and Kranzle Industrial Cleaning Machinery but many scarce, obscure or out of production models. 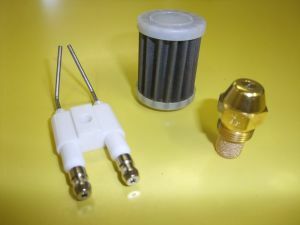 If you require a part we have not listed on our website, please contact us – chances are we have it in stock. If not, we will do our best to locate it for you. Please see our F.A.Q. Section for more information about ordering from us. 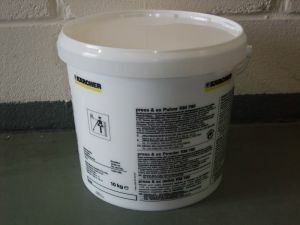 RM 760 classic deep-cleaning powder for spray extraction / wet-vac cleaning of home and office carpets; car, bus and taxi chairs, seats and upholstry. 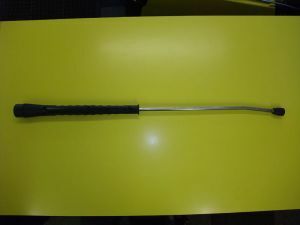 In stock at our premises on Bayton Road Industrial Estate, Coventry, West Midlands. 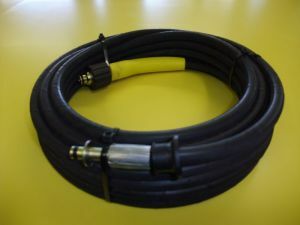 "Need to extend the length of your high pressure hose by ten metres?" 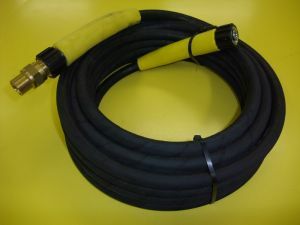 10m black high pressure hose with M22 Female fitting at both ends, complete with brass M22-M22 Adaptor. IN STOCK: Mail Order or Collection from our premises in Coventry, West Midlands. 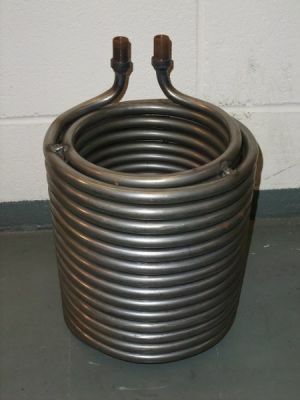 "High Pressure Hose Leaking or Burst?" 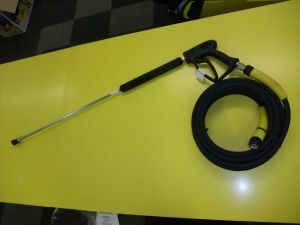 "High Pressure Hose or Trigger Gun Leaking, Burst or Broken?" Special Offer – Call for Discounted Price. HDS 558 (240V) and HDS 601 (240V). 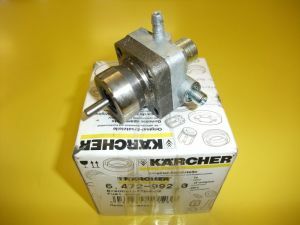 Karcher Part Number: 4.580-367.0 (45803670). 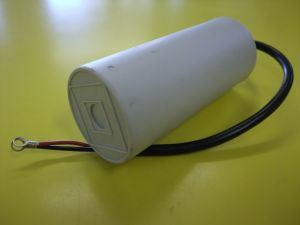 HDS 558 C, HDS 601 C, HDS 601 (110V), HDS 798 C, HDS 601 C Eco. 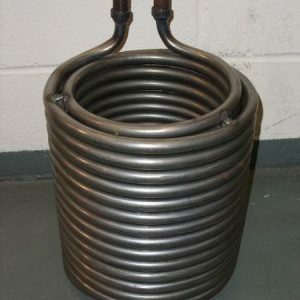 "Burner won’t ignite / no hot water from machine?" 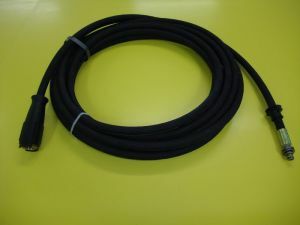 Karcher Part Number: 4.760-550 (47605500). HD 6/13-4 M Plus, HD 7/18-4 M Plus, HD9/20-4 MX Plus, HD 10/25-4 S, HD 13/18-4 S Plus, HD 1040 B Cage, HD 1050 B Cage, HD 8/24 PB and HD 10/35 PB E Cage. "Heater Coil Leaking or Burst?" 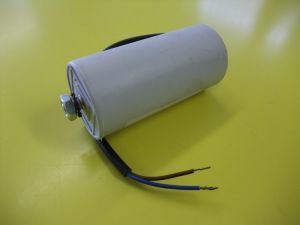 HDS 450, HDS 501, HDS 550, HDS 551, HDS 558, HDS 601, HDS 601 (110V), HDS 798. May fit others – please Contact Us.